The agriculture sector experienced a decline of 1.33 per cent in 2018, recording an increase of 2.12 per cent against the growth of 3.45 per cent recorded in 2017. Recent Gross Domestic Product report from the National Bureau of Statistics indicated that in real terms, the sector grew by 2.46 per cent (year-on-year), a decrease of 1.78 per cent points from the corresponding period of 2017, but an increase of 0.55 per cent points from the preceding quarter. Annual 2018 growth was 2.12 per cent, which was lower than the 3.45 per cent recorded in 2017, according to the NBS. The sector contributed 26.15 per cent to overall GDP in real terms during the fourth quarter, slightly higher than the contribution in the fourth quarter of 2017 (26.13 per cent), but lower than the third quarter of 2018 (29.25 per cent). Agriculture sector’s contribution to real GDP in 2018 was 25.13 per cent, up from 25.08 per cent in 2017. The statistics reflected a not-so-impressive performance of the sector which stakeholders attributed to the ongoing crises between herdsmen and farmers in the major food baskets of the nation. The NBS reported that four activities made up the sector; crop production, livestock, forestry and fishing. In addition to insecurity, the country’s food production is also challenged by the lack of government financial support to farmers, inadequate basic infrastructure, rising cost of farming inputs, according to the United States Agency for International Development. The Federal Government had ended a fertilizer subsidy regime that made fertilizer directly available to farmers, through an e-wallet system that was initiated by the former Minister of Agriculture and Rural Development, Dr Akinwumi Adesina. The Minister of Agriculture and Rural Development, Chief Audi Ogbeh, had ended the programme, explaining that it was too expensive to sustain. The regime instead reduced the price of fertilizers from about N9,000 a bag to N5,500 a bag under the Presidential Fertiliser Initiative. But like so many schemes, the smallholder farmers who constitute the bulk of the farming community in Nigeria do not all have access to the government schemes and not many of them can afford to pay the stipulated price for fertilizer and other farm inputs. 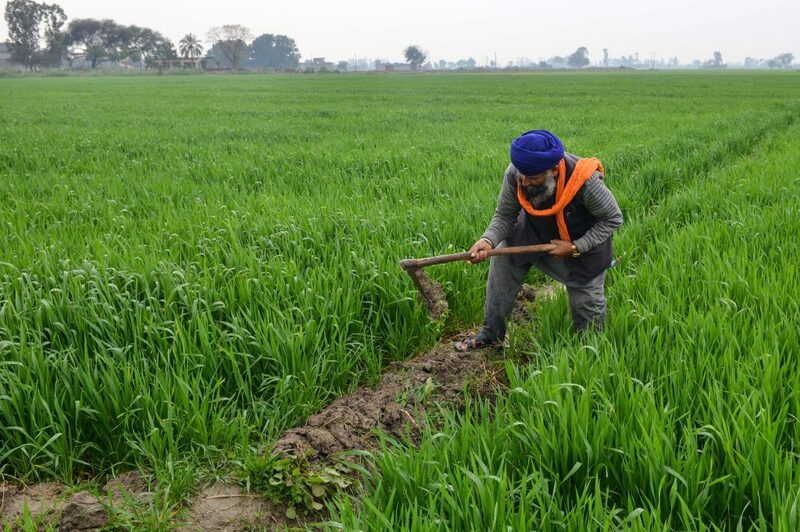 Experts also argued that the contribution of agriculture to the GDP would continue to remain low if the country continued in the primary mode of farming. They maintained that for a country with 180 million people, agriculture needed to be positioned in the Fast-paced Information Technology world in order to grow. A former Director-General, West African Institute for Financial and Economic Management, Prof Akpan Ekpo, said the country needed to embrace mechanised farming before agriculture could register any form of impact. The Deputy Director-General for Partnerships and Delivery, International Institute for Tropical Agriculture, Dr Kenton Dashiell, recommended improvement of yield per hectare, saying that the average yield per hectare for Nigerian crops was still low compared to other countries.